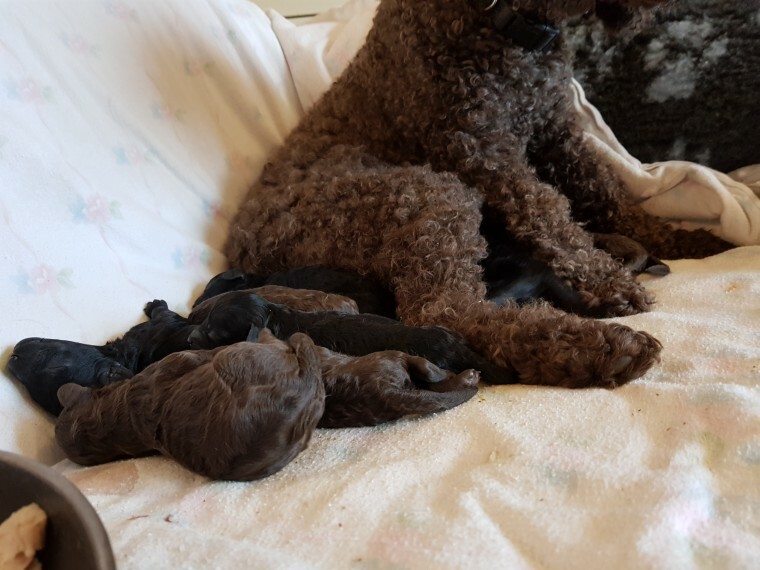 **Just 2 chocolates ..boys puppies left .please tele if interested as emails are only checked occasionely ****Kennel Club Registered, advertised on Kennel club site aswell ..Beautiful & stunning litter of Miniature Poodle puppies girls & boys to permanent loving homes. These wonderful dogs will make great family pets ,agility or grooming competions .Both parents can be seen alongside puppies, they have been brought up with other dogs in a home situation. They are doing really well with toilet training. Puppies will be vet checked , as well as microchipped and Kennel Club Registered, with your pedigree to take with you . 4 weeks Free Insurance with Pet Plan . For more information and any information about the 5* home you can provide please call .